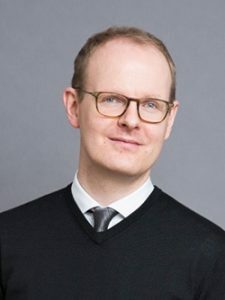 Thoralf Schwanitz, Public Policy and Government Relations Counsel at Google, works on the topic of data governance, including privacy and security, with a focus on German and European matters. He is based in Berlin (previously Hamburg, Hong Kong, Singapore). A German lawyer by training, Thoralf Schwanitz prior to joining Google worked in the legal department of European media company Axel Springer. His legal clerkship included secondments at the Office of the Berlin Commissioner for Data Protection and Freedom of Information, the National Security Archive at George Washington University in Washington, D.C., and German law firm JBB. Thoralf Schwanitz holds a law degree from Humboldt University Berlin and also studied law at Université de Genève and the University of Passau. Also a journalist by training, Thoralf Schwanitz was a recipient of the International Journalists’ Programmes’ Arthur F. Burns Fellowship, and worked inter alia for the business publications of media company Gruner + Jahr.